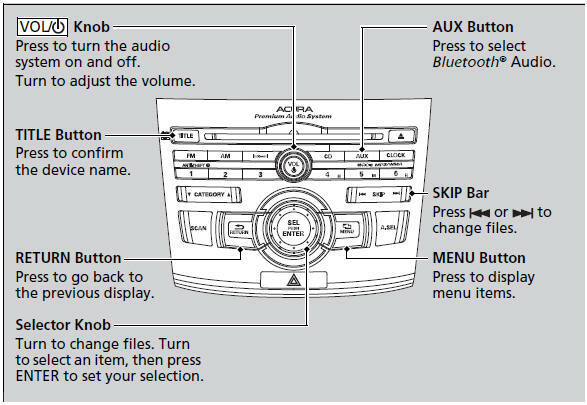 This function is available when the phone is paired and linked to the vehicle’s Bluetooth® HandsFreeLink® (HFL) system. You can find an approved phone by visiting www.acura.com/handsfreelink, or by calling the HandsFreeLink® consumer support at 1-888-528-7876. In Canada, visit www.handsfreelink.ca, or call 1-888-528-7876.